Today we’re talking about Positive Affirmations. What if every word you spoke was a spell? Well it is. 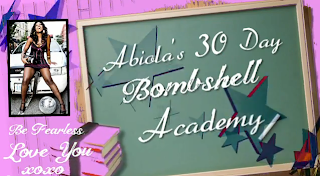 Check out the video above, Abiola’s Bombshell Academy #8, Terra Fossil’s 30 Days of Wine Madness. I was all about the Terra Fossil Malbec 2009 and a bean pie. Yup.